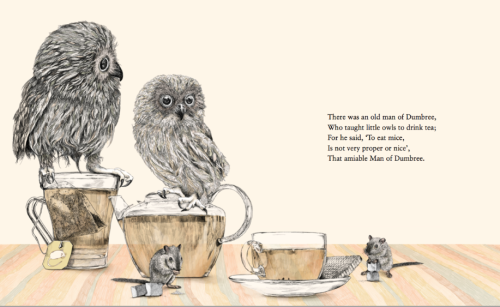 This is Gabriella Barouch’s interpretation of a limerick from Edward Lear’s A Book of Nonsense. A limerick is generally 5 lines, anapestic or amphibrachic meter, and has the rhyme scheme AABBA. Go flex your limerick muscle.